All of us living through America’s crisis time need to remember that our strategizing brain lives within a whole person: acknowledge your feelings and turn to the group for support. 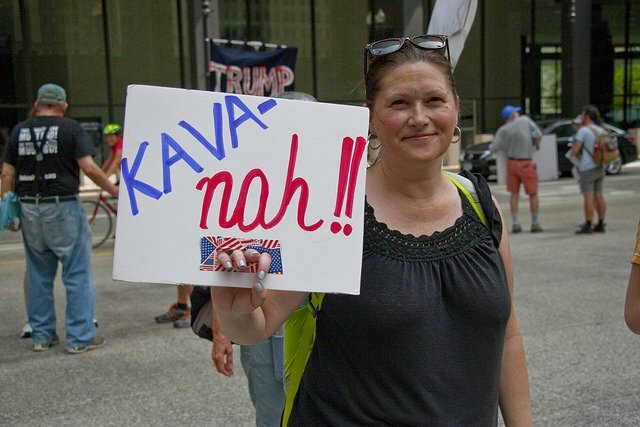 Stop Brett Kavanaugh Rally, Downtown Chicago, 2018. Credit: Flickr/Charles Edward Miller. CC BY-SA 2.0. October 6 was a tough day for a group of social justice activists to hold a strategy retreat. Brett Kavanaugh was clearly going to be confirmed to the Supreme Court, and we weren’t in any kind of mood to plan next steps for our campaign. Barack Obama and the Rooseveltian moment. Let’s not miss the boat this time.